Jellico Community Hospital, located in the heart of the economically depressed Appalachian region of eastern Tennessee, is getting another chance through Community Hospital Corp.
JELLICO, Tenn.—Rebecca Jarboe, expecting her third child, began what turned out to be a difficult labor on Valentine's Day. A snowstorm blanketed the 14 miles of mountain roads that separated her home from the nearest hospital. Her husband wanted to drive her to the University of Tennessee Medical Center in Knoxville. But that would have been a 70-mile journey over Jellico Mountain, which they rejected given the weather and her condition. Instead, the couple called their family physicians, Drs. Geogy Thomas and Daniel Yoder, who drove from their homes down icy roads to meet them at 54-bed Jellico Community Hospital. After the surgical nurses arrived, the team performed a C-section on Rebecca, delivering the Jarboes' first son. The Jarboes, who live just across the state line in Kentucky, were fortunate to have a hospital nearby that does deliveries. A year ago, it looked as if the not-for-profit facility would close because of the deteriorating economics of running hospitals in small towns. With a population of 2,300, it's located in the heart of the economically depressed Appalachian region of eastern Tennessee. The hospital's financial woes can be only partially blamed on the state's refusal to expand Medicaid to low-income adults. Like hundreds of rural facilities across the nation, the hospital suffers from a payer mix skewed toward low-paying government programs. Good-paying jobs with health benefits have dwindled in the region. A depressed rural community with overwhelming public health problems hopes the new managers of its struggling hospital will find the money to maintain vital healthcare services while preserving 232 badly needed jobs. The bad economy is a contributing factor for the region's mounting healthcare needs, which would tax the abilities of any healthcare system, much less a small community hospital with limited resources. Residents suffer from higher-than-average rates of diseases such as diabetes, chronic obstructive pulmonary disease and hypertension. Obesity and drug abuse are rampant. Despite the need for the facility, Altamonte Springs, Fla.-based Adventist Health System, which was losing millions a year on the hospital it had run since 1974, announced in May 2014 that it wanted out. Fortunately for Jellico and area residents, a white knight rode to their rescue. Last May, Community Hospital Corp., a Plano, Texas-based not-for-profit company whose mission is to preserve access to healthcare in rural communities, took over the hospital and its clinic in nearby Williamsburg, Ky. The management team at CHC—which owns five acute-care hospitals and 10 long-term-care hospitals and manages or provides strategic support for 13 others across the country—analyzes the needs of each rural hospital it takes under its wing and applies its expertise to turning them around. “People would die for lack of healthcare if we didn't have a hospital in this community,” said Dr. Charles Wilkens, who helped establish the Jellico hospital and who later formed the Wilkens Medical Group. And so might the town. Closure would have been a disaster for Jellico and the area. With a staff of 232, Jellico Community Hospital is the town's largest employer. “We knew if the hospital closed, the city was gone,” said Elsie Crawford, business manager of the Wilkens Medical Group in Jellico and a member of the City Council. While the Affordable Care Act has shored up finances for some hospitals, especially in the 31 states that expanded Medicaid, hospitals in many rural communities continue to face deteriorating finances. 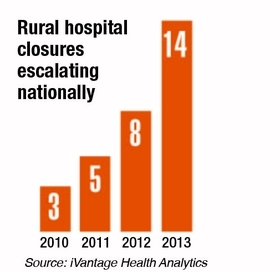 More than 50 rural hospitals have closed in the past six years, and nearly 300 more are in deep financial trouble, according to the National Rural Health Association. But the new managers from CHC are optimistic about Jellico Community Hospital's prospects. 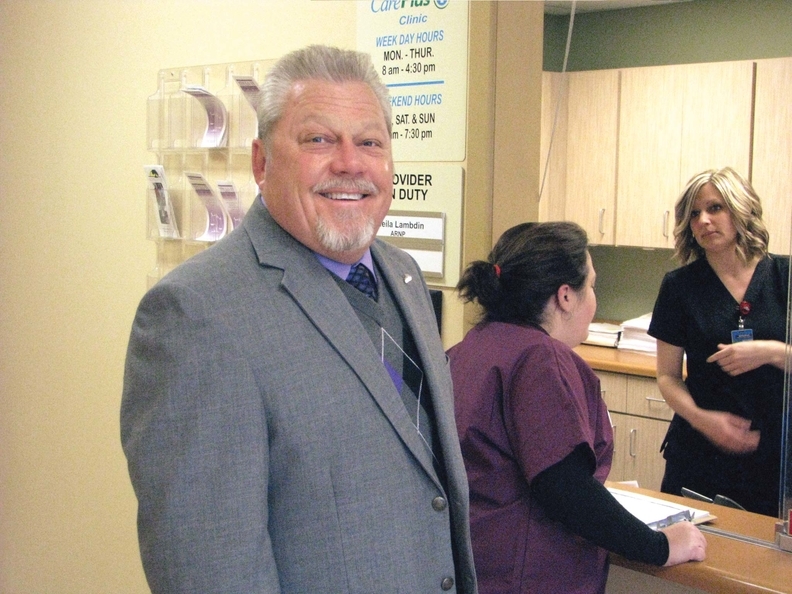 Though they project continued losses for the first year, their upbeat outlook rests on having an unusually robust medical staff for a rural community. Ten primary-care physicians, two general surgeons, an OB-GYN, a pulmonologist and an endocrinologist practice medicine at three independent groups in the area. Dayspring Family Health Center, a federally qualified community health center with three clinics, has six physicians who manage patient care in the hospital. CHC began its turnaround project by trimming the hospital's staff and installing a less costly electronic health record system. It continues to hunt for other cost-cutting measures since patient volume has declined over the past several years. It's also moving quickly to boost revenue by negotiating better rates with payers and winning federal rural health facility status for its clinic in Williamsburg, which would boost Medicare and Medicaid payments. CHC officials say they want to invest in expanding and upgrading services, recruiting specialist physicians and keeping patients from going elsewhere for non-emergency care. That's not easy given Jellico's heavy mix of Medicare, Medicaid and uninsured patients, with less than 10% privately insured. “We'll put in a 90-day plan to grow patient volume,” said Jim Coleman, CHC's senior vice president for Southeast hospital operations. “We'll showcase our services and quality,” he added, noting that the hospital has a five-star rating from the CMS for patient satisfaction. The hospital's new CEO, Kim Dowell, is getting out and talking with everyone to reassure the community that the hospital has stabilized and continues to provide quality care. One approach she and CHC are exploring, Dowell said, is building collaborative relationships with larger medical centers, such as Baptist Health in Corbin, Ky. They would like to establish telehealth consults for stroke treatment, psychiatry, obstetrics, substance-abuse treatment and other areas. Jellico Community Hospital, built in the early 1970s by the local community, has always served an impoverished town with lots of health needs. That sense of mission remains palpable among the physicians, nurses and administrators. Many meetings open with prayers for patients' healing. The young hospital had closed after initial struggles when Dr. Wilkens, a young Adventist missionary, arrived in 1974 at the request of the Adventist Health System. Then Jellico was still an active coal-mining and manufacturing town. He saw that nearly everyone was smoking cigarettes and mothers were feeding babies with bottles filled with Mountain Dew. He decided to move his family to Jellico and take on the challenge, “with the Lord leading the way,” he said. 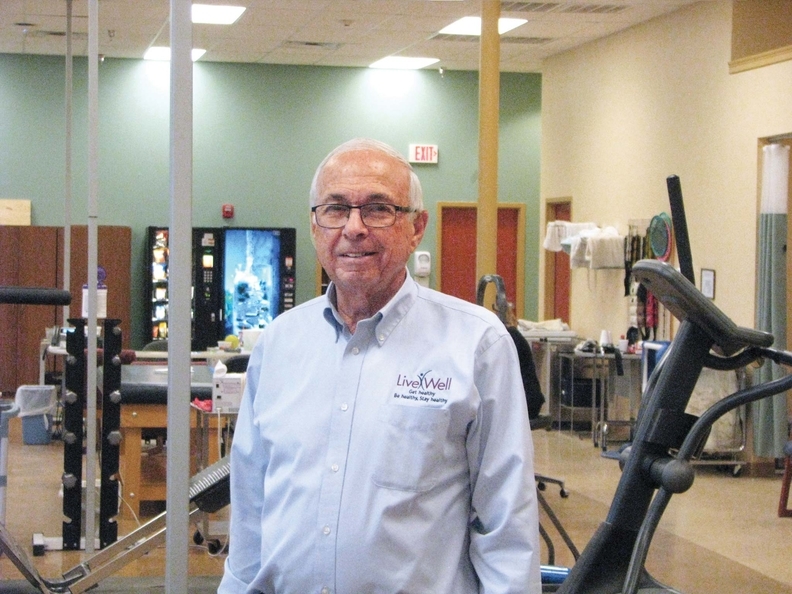 In the decades since, his three sons have become doctors, and his daughter is a nurse and wellness educator at the Wilkens Medical Group clinics in Jellico and Williamsburg. But as the area grew poorer and lost most of its mining and manufacturing jobs, the town's population shrank by three-quarters. The downtown, which once boasted department stores, a bowling alley and restaurants, now has dollar stores and funeral homes. The Rite-Aid pharmacy recently closed and the city has no supermarket. The state recently took over the town's finances, prohibiting the purchase of a badly needed snowplow. Indeed, Mayor Roddy Harrison of Williamsburg said he makes four calls a day trying to lure employers because “raising people up with jobs makes them want to be healthy and stay off drugs.” But employers want to know if his city has a major healthcare facility. “When you say no, typically, it's a little bit of a turnoff,” he said. The threat of rural hospital closures is a major issue throughout Tennessee. Three facilities in the state have closed since 2013, a fourth just announced it's closing in May, and another hospital shut down and then reopened with fewer services. A Tennessee Justice Center analysis found more than 40 hospitals, mostly in rural areas, are at risk of shuttering. Among the state's 66 rural hospitals, 42% posted a negative margin in 2014, according to the Tennessee Hospital Association. One contributing factor is the refusal of the Republican-controlled state Legislature to expand Medicaid under the Affordable Care Act, unlike neighboring Kentucky, which expanded the program in 2014. Expansion advocates, including Republican Gov. Bill Haslam, say it would provide a big financial boost to hospitals by extending coverage to about 280,000 uninsured Tennesseans, reducing hospitals' uncompensated-care burden. “Some hospitals will close regardless, but some may have a better chance if we were successful in getting the coverage expansion,” said Darin Gordon, director of Tenncare, the state Medicaid program. 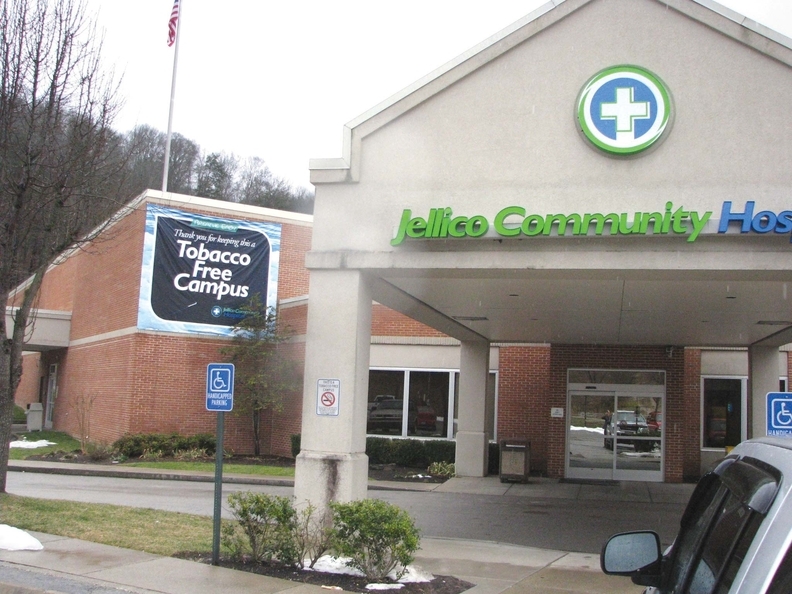 Jellico Community Hospital, which draws about half its patients from Kentucky, has benefited financially from that state's Medicaid expansion, even though the managed-care payment rates are low. The hospital's administrators, doctors and nurses all say it's easier to get testing and specialty care for Kentucky Medicaid patients than for uninsured Tennessee patients who would qualify for expanded Medicaid. One of the Jellico area's most heartbreaking health problems is the prevalence of drug-addicted women who deliver babies suffering from neonatal abstinence syndrome, or NAS. Thomas, Dayspring's medical director, said about one-third of the nearly 200 babies his group delivers each year have been exposed to addictive drugs during gestation, and half of those infants have NAS. Last year, Tennessee had about 1,000 babies born with NAS; their treatment at East Tennessee Children's Hospital in Knoxville cost the state $62 million. “Smoking cessation is the hardest to get people out to. People change a little at a time,” said Kerri Boone, nurse and wellness educator. Smoking and bad diet are also major public health problems in the Jellico area, contributing to high rates of congestive heart failure, obesity, pulmonary disease, diabetes and other chronic conditions. Everyone agrees more needs to be done to help residents adopt healthier lifestyles. The Wilkens Medical Group offers smoking cessation, cooking and exercise classes through its LiveWell program. But the doctors and nurses say residents often resist making needed lifestyle changes. 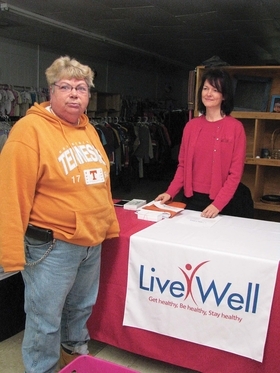 In downtown Jellico on a drizzly Tuesday night in mid-February, in the storefront Adventist Service Center, Dr. Wilkens' daughter, Kerri Boone, and her husband, Steve, stand behind a table draped with a LiveWell sign waiting to start a stop-smoking class. Marsha Bowlin, a stout, taciturn woman who's trying to quit cigarettes, sits patiently in a folding chair. She is joined by Adventist Pastor Justin Childers, who came to lend moral support. The Boones wait a half-hour for a woman who had called to say she was on her way. She never shows up, and they cancel the class. Back at Jellico Community Hospital, Ewell Lawson, 69, lies in his bed, looking tired and emaciated. A retired spray painter and long-time smoker, he was admitted the day before for pneumonia. It's his third time in the hospital for that condition. His wife and son have been treated here, one of his children was born here, and his daughter is a nurse in the emergency department. He knows his prognosis isn't good, but he's glad he's receiving care at this hospital.